As manufacturing companies grow and expand, getting products to growing numbers of customers domestically or even globally becomes an ever-greater logistical challenge. Logistics is its own discipline, subject to changing transportation regulations and fluctuations in demand. Squeezing the most profit out of your shipping dollars isn’t always easy when logistics isn’t your primary business focus. You know it’s not enough to make a great product – you also have to put that product into the hands of your customers. Yet the logistics of doing so aren’t always straightforward. What’s a growing manufacturer to do? Enter the third party logistics, or 3PL firm. In this post, we’ll discuss what a third party logistics firm does, how it may be able to save manufacturers money, and some of the pros and cons of working with a 3PL firm. What is Third Party Logistics (3PL) ? In a nutshell, third party logistics firms specialize in managing all aspects of shipping goods from manufacturers and distributors to their customers, wherever they may be. The 3PL firm can operate their own fleets or those of their customers, reducing the manufacturers’ liability and cost related to payroll, taxes and workers' comp insurance. A 3PL carrier may even cover the cost of cargo insurance. 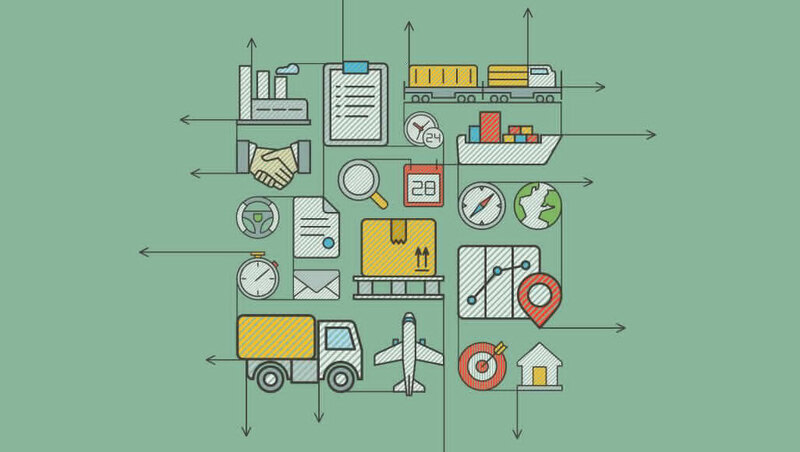 These factors alone can offer significant savings to manufacturers that choose to go the 3PL route. According to Steve Syfant of Syfant Logistics, “a 3PL should be able to reduce transportation costs by at least 5 percent, and as much as 25 percent, for manufacturers who have been running their own shipping departments.” But these aren’t the only advantages 3PL offers. In addition to cost savings, the 3PL company’s expertise also offers significant advantages. The world of logistics is constantly changing and is subject to federal transportation regulations within the United States, and the regulations of foreign governments when shipping internationally. According to Damon Schaechter of ShipWire, a third party logistics provider handles all these regulations, making it easier for manufacturers to test and enter foreign markets. Beyond just getting shipments from here to there, a 3PL company can even assist with logistical issues involved with internationalizing a product line, from translating packaging to handling the shipping requirements, without making huge investments. Then there are customs issues like lost shipments, lack of tracking ability, brokerage fees and unpredictable delivery times that can make shipping internationally quite challenging. A third party logistics provider can handle this as well. Another advantage of 3PL is the ability to manage fulfillment from multiple markets. Third party logistics providers not only have the ability to ship goods around the country or around the world, they also have the warehouse capacity to set up fulfillment in many foreign and domestic markets. In terms of up-front costs, it’s much cheaper to hire a 3PL provider than to buy or lease warehouse space in markets you want to test or penetrate. A third party logistics provider can offer fulfillment services in multiple markets, saving cost on smaller shipments, and getting products into customer hands much more quickly. So far, third party logistics sounds like a slam dunk, doesn’t it? Well, before you sign on the dotted line with your friendly, local 3PL rep, let’s look at both sides of the equation. One major disadvantage of using 3PL is that it leads to some loss of control over your shipping functions. This business strategy puts a third party in control of one of the business functions with the most impact on customers and the greatest effect on customer satisfaction. In addition, turning these functions over to a 3PL firm is a major commitment, since your in-house logistical team may lose much of the relevant market knowledge that you will need should the relationship with your 3PL provider ever become untenable. Bringing the shipping function back in house could prove difficult when this institutional knowledge is lost. The cost factor isn’t also crystal clear either. A 3PL firm may be cheaper up front, but over time will likely be more expensive than handling the shipping functions in-house, provided those in-house functions are operating efficiently. Clearly, there are good reasons to choose a 3PL provider to handle your logistics, as well as several strong arguments against. The right decision will depend on your business needs. So, how do you know when a 3PL provider may be the right choice? According to Shipwire’s Nate Gilmore, signs a 3PL provider can help include being a startup manufacturer or direct-to-consumer company in the $1 million to $5 million range. Companies like this are often in strong growth mode, but their ability to produce goods and sell them may be outpacing their abilities to store them and get them into the hands of customers. In this case, a 3PL company provides a valuable function, providing the kind of warehouse and logistics capabilities that a larger company might be able to manage in-house, along with “economies of scale” that come from aggregating the logistics requirements of several smaller businesses together. This also allows manufacturers to focus on the factors that have more impact on growth, while maintaining higher levels of customer satisfaction. How does your company handle logistical challenges? Have you ever worked with a third party logistics provider? We want to hear about it in the comments.